I was provided a gift card to the At Home Store in the amount of $50 in order to facilitate my review. Ok, so I have a confession to make: I didn’t make a big fuss over Halloween until I had kids. Yep. There. I said it. But, for my kiddos, I will pretty much do ANYTHING to make a giggle or even just a tiny smile. They get the best parts of life, if I can manage it. But that doesn’t mean that I go crazy with the cashola, though. I have a budget and I stick to it. 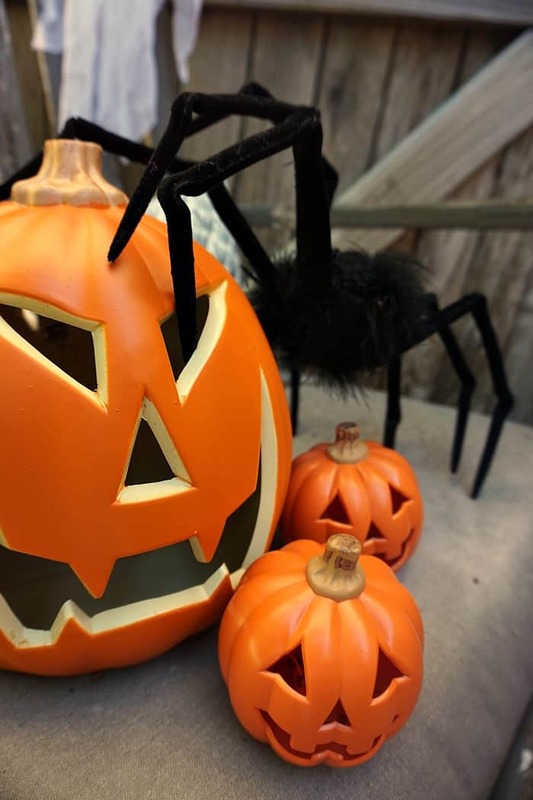 And, for under $50, I was able to manage these 5 Easy Indoor Halloween Decorating Ideas that the kids absolutely LOVE. Creepy Chair. I found mine on the side of the road. Seriously creepy, y’all. And I only bring it out for Halloween. Old Fence. Have an old piece of fence? Throw it behind said creepy chair. Or some sticks. Sticks scream creepy. Ghosts. You can always just make your own–but I found some GREAT ones the At Home store for only $4, so I just grabbed a few of those–and they’re perfect for hanging off the Old Fence and Creepy Chair. Pumpkins. Seriously–Halloween staple. But I wanted the kind I didn’t have to clean-out this year…just FYI, that’s a pain. Spiders and Owls. You don’t get creepy until you’ve had a gigantic hairy spider staring you in the face. And it’s cute, too. Weirdly odd combo, honestly. Heh. And that’s it. Seriously. Less than $50 spent and I have a TOO CUTE (and kinda spooky) home ready for Halloween. 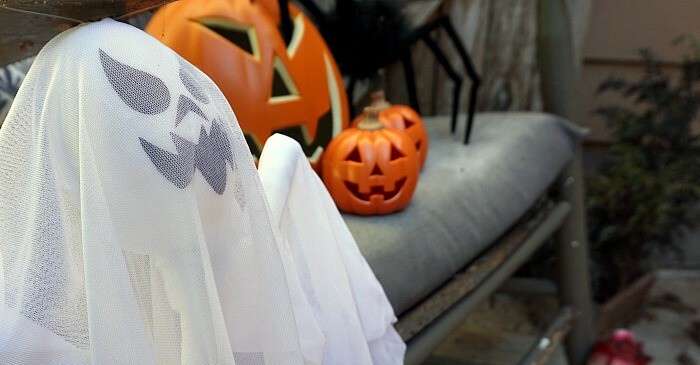 The biggest trick in my arsenal for these 5 Easy Indoor Halloween Decorating Ideas? Hitting that awesome store called At Home. I hadn’t been in there since they rebranded from being Garden Ridge (which I always thought was funny because my local store was actually located on a road named Garden Ridge, but that’s beside the point). But, they still have the best prices on the best decorations for basically every holiday ever imagined. I’ll be back there for Christmas, Thanksgiving and probably New Years (but not in that order). So, hit them up, find some steals. You’ll love it. 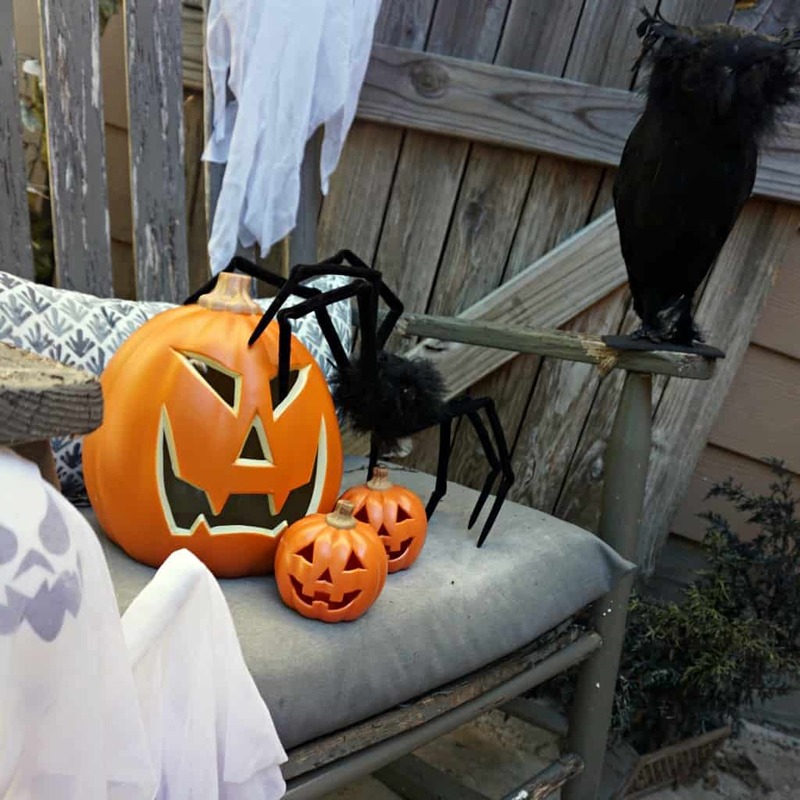 Alright, so get after it–or, if you’re staring like a deer-in-the-headlights at me because it’s nowhere near Halloween yet, just pin these 5 Easy Indoor Halloween Decorating Ideas (for under $50–that’s the best part) and come back to it when the holiday is fast-approaching again. Heh.